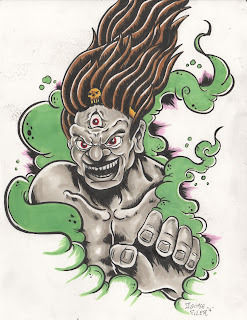 Finn Balor, Cat Woman, and some Japanese demon fan art. 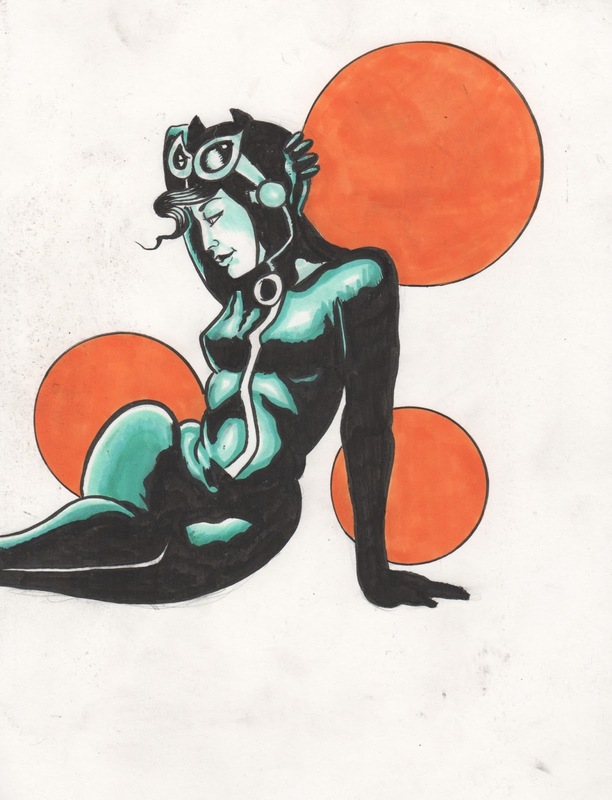 I never get tired of drawing Cat Woman. Especially with the Darwyn Cooke design. I find myself studying his art more and more the last few months. 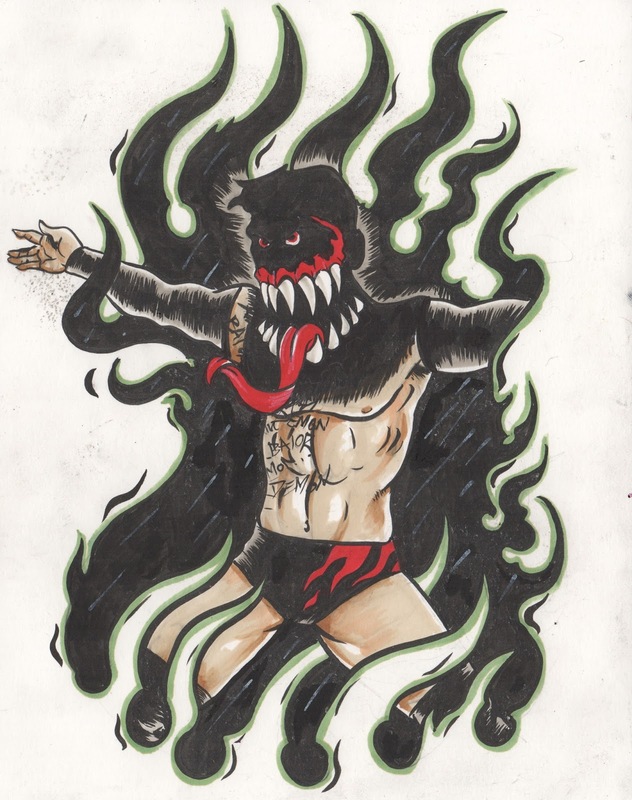 Finn Balor is one of my favorite pro-wrestlers. So it was a no brainer to do some fan art for his upcoming Summer Slam main event. This is based off a statue I saw at the Chicago Art Institute. 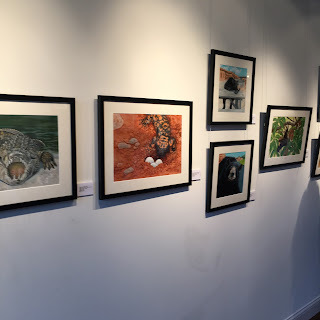 I got so many great reference pics, from my recent trip. 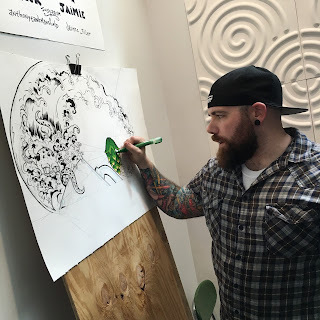 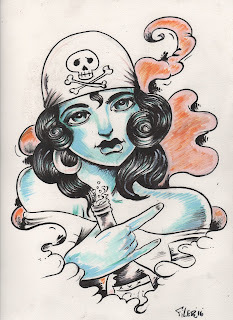 Live art from the last weekend. 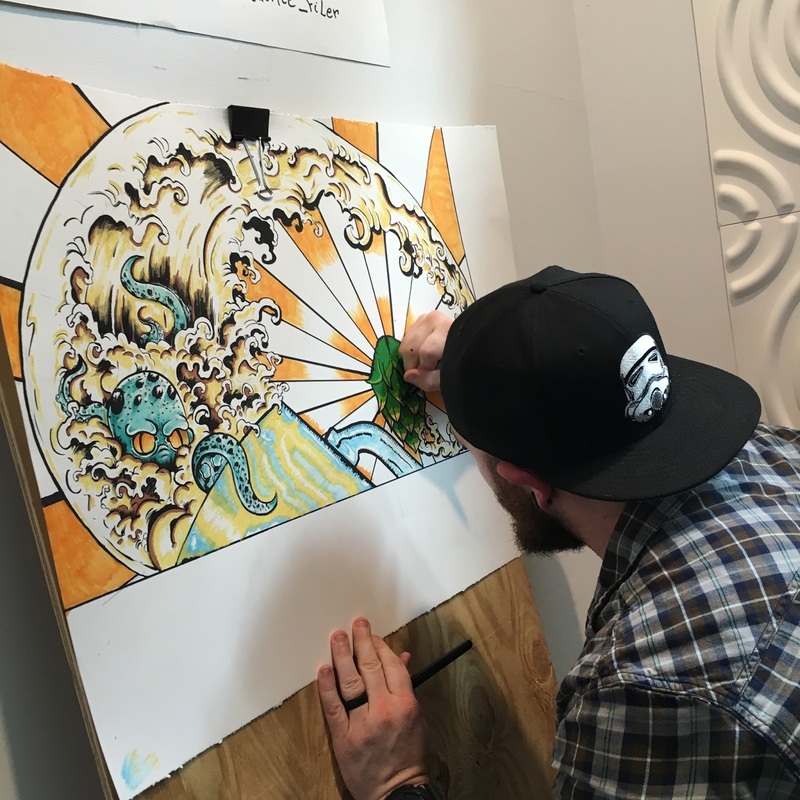 This last Thursday night Tank and I rocked out some live art at the super cool Eightball Brewery. 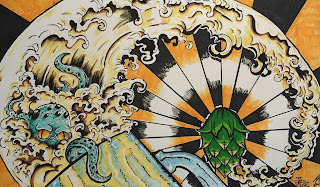 Then Saturday we collaborated on this beast together at the Fibonacci Brewery. 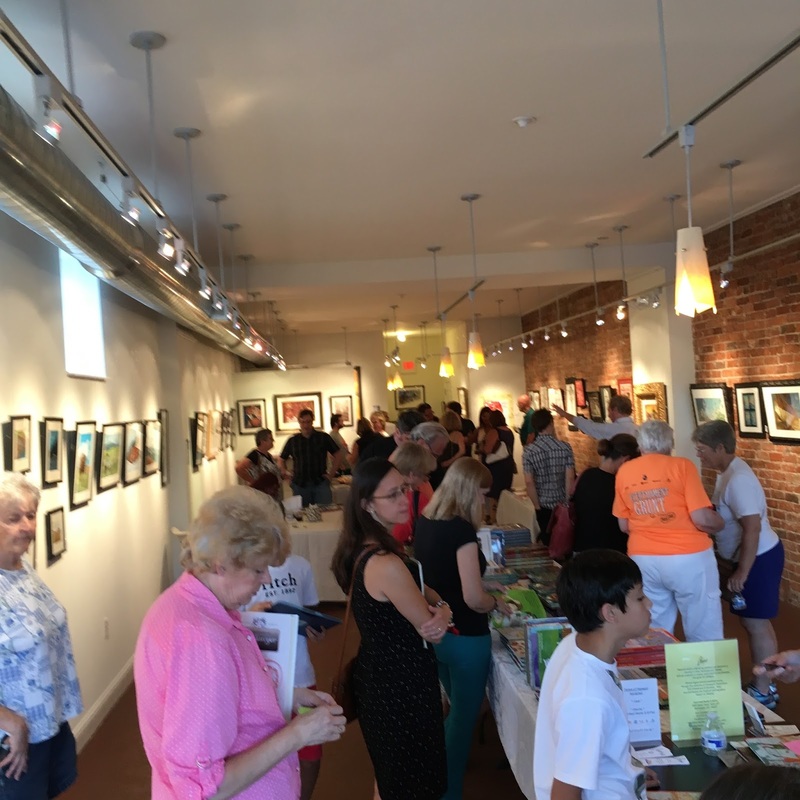 Afterwards I got to visit an amazing show of local illustrators at the Flats Art Gallery. It was a very busy but exciting weekend. 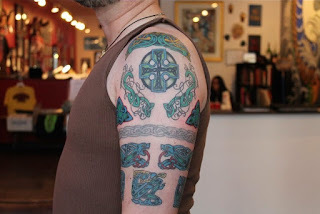 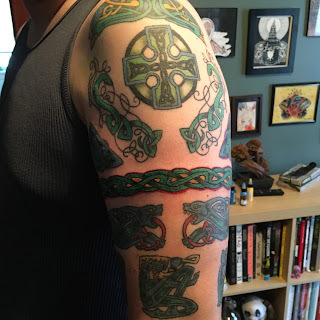 My client and good friend Jason came to finally re-vamp his 20 year old original Celtic knot arm band.We just re-bumped up the previous design and added some color to unify it with his other pieces.